Download over 200 pages from 37 of Forrest’s publications and links to videos introducing his books. 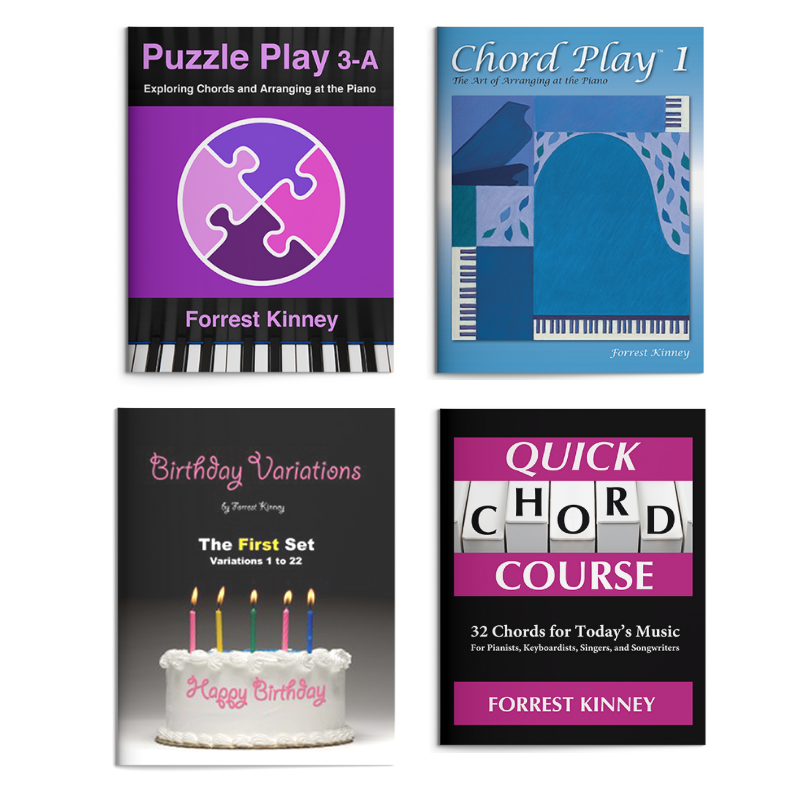 This collection includes three series: Puzzle Play, Chord Play, and Birthday Variations. This includes Create First books, PDFs, and videos, and two Pattern Play series. Beginning Years, Modes in All Keys, Opposite Twins, and more encourage pianists to move beyond correct to creative. Books on creativity, music, and artistic practice. Various collections of songs composed by Forrest Kinney and vocalist Kevin Helppie, Ph. D.
I respect and value your privacy and will never share your information.